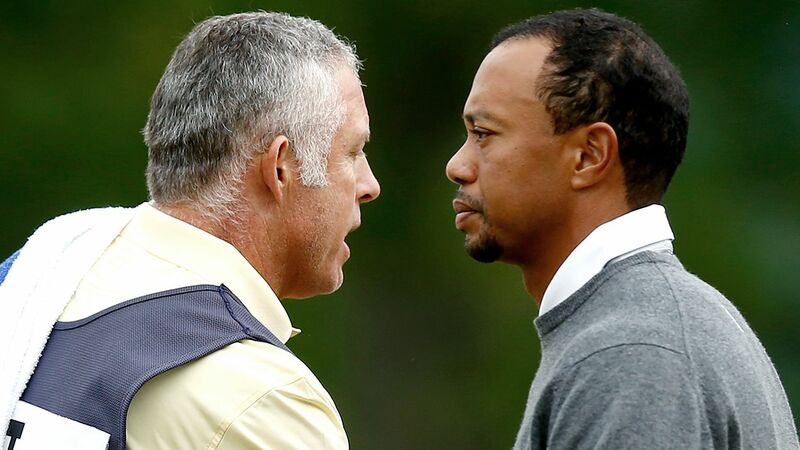 Last week Steve Williams released his new book about his time spent caddying for Tiger Woods. It has been promoted using several sensational bits including Williams’ assertion that Tiger “treated him like a slave”. Is it OK for a looper to write a “tell all” type memoir or should this stuff remain confidential between player and caddy? Jim Deeks, Fairways Magazine (@jimdeeks): I don’t think Steve Williams has done himself or his caddie colleagues (or Tiger, of course) any favours by airing his dirty laundry in public. Sure, it’s going to sell thousands of copies, but I assume Steve doesn’t need the money after the millions he made from Tiger and all the associated opportunities. I’m sure Tiger was no treat to work for, but Steve could’ve quit anytime in all those years if he didn’t like it. I think this book is a giant double-cross, and he’s lost any respect I might otherwise have had for him. TJ Rule, Golf Away Tours (@GolfAwayTJ): I learned not to listen to anything Steve Williams says, so I’m not interested in his tell-all book, but in this day and age of reality shows and all celebrities living their lives very publicly, this is something you would almost expect. If he wants to make a buck off of the trash that he puts to paper, it’s his choice. I’d rather read warmer and less vindictive stories of caddy/player relationships, such as the Rich Beem/Steve Duplantis story told in Alan Shipnuck’s book Bud, Sweat and Tees, a great read! Craig Loughry, GAO Director of Handicapping (@craigloughry): If a caddie is dumb enough to write a book about all the situations, so be it. Clearly a caddie who does this has no care about his trade or his peers as it will impact other player caddie relationships. Players won’t trust their caddies or will opt for a non-disclosure clause in a formal contract when they’re hired. So, how is it that Steve Williams is struggling financially and needs to write a tell-all book? Apparently, he was treated like a slave even though it’s estimated that Tiger brought Steve Williams some $10 million dollars during his employment. I’m not sure that classifies as a slave. If it does, sign me up. Frank Mastroianni, Freelance Writer: I think a looper should be free to do as he or she pleases unless it involves divulging confidential and/or private information about his/her player. Does that mean it will be a good thing for said caddie? Of course not. I’m sure many players would be hesitant to hire someone like Stevie in fear of what might be shared or made public afterwards. There’s always a certain respect and professionalism gained by keeping your trap shut. But in the end, as long as it’s only the caddie’s perspective, do as you please. Plus, as a player, if you have nothing to hide, there’s no issue anyway. When it comes to Tiger and Stevie, I’ve always believed the more loyal a person, the harder the backlash if they ever feel betrayed. Peter Mumford, Fairways Magazine (@FairwaysMag): There are some relationships where there is an expectation of confidentiality. In most team sports, what’s said in the locker room stays in the locker room, and I think the same applies to a player / caddy partnership. The cardinal rule of caddying is “show up, keep up and shut up” and I expect the “shut up” part applies off the course as well. Obviously Williams never learned that. Hal Quinn, Freelance Writer, Vancouver: Based on the reaction from William’s peers, there is definitely an unwritten code of honour among caddies and Williams has well and truly broken it. Because he doesn’t need the money thanks to his indentured service, the book, I think, is a measure of how much Williams is still appalled by Eldrick’s off course behaviour and still resents how he was tossed aside. The ‘slave’ comment is disingenuous in the extreme and elliptically racist. He (or his ghost writer) wouldn’t use that term to describe a relationship with a white boss. If he had to tell all, or had more to tell, he should have waited until he was no longer even part-timing with Adam Scott. Bad chapter, no matter how it’s parsed. Dave Kaplan, Freelance Writer (@davykap): I can’t understand why Steve Williams continues to play this card. Should we all ignore the fact that Tiger Woods’ brilliant play for over a decade made Williams the richest and most famous caddy in the world … NOT the other way around? Unless you caddied for Robert Allenby, loopers should not be allowed to spill their guts in tell-all autobiographies. Tiger Woods’ latest design, Bluejack National, opened some holes for play this week. So far reaction has been mixed. It raises the question, can great players design great courses? And which great player is the best modern day (post 1960) architect? Mastroianni: It certainly shouldn’t hinder your ability to design a great golf course. But being a great player doesn’t mean you’ll be a great architect. Same as being a great cook doesn’t mean you’ll be a great farmer. There are definitely some great golfers who have made some great golf courses though. The Big Three (Nicklaus, Palmer and Player) each have very strong courses around the globe. But for my money, I’ll take a Coore & Crenshaw design any day (Friar’s Head, Sand Hills or Cabot Cliffs for the rest of my life will be just fine). Quinn: Years ago, at the Air Canada Championship at Northview outside of Vancouver, I asked a pro what he thought of the course after his first practice round. He shall remain anonymous, but his line resonates still — “Arnold Palmer has never been accused of designing a great golf course.” Having played a number of ‘Palmers’ I have to agree, but at least The King showed up at most of the “design” sites. That can’t be said for a lot of players and their “signature” designs, but in most cases that’s a good thing. (Half the ‘name’ designers at Mission Hills in Shenzhen never made it to the site until the ribbon cutting). The only great courses I’ve played that were designed by a great player are the Ben Crenshaw-Bill Coore creations, although I have played a couple of Greg Norman’s that are superb. Skill driving a golf ball doesn’t often translate to skill driving a bulldozer. Developers made Palmer and Nicklaus rich on their designs alone based on their ‘Brand’ to sell real estate to bad golfers, not on the quality of the product. I’m not expecting Bluejack National to rival anything by Crenshaw-Coore. Kaplan: Of course great players can design great golf courses. I don’t see why the two would be mutually exclusive. I think Tom Weiskopf is my favourite. He has no formal knowledge or training in the field and yet he just keeps on churning out award-winning courses, one after another. Weiskopf searches for great land before designing anything, doesn’t like elevation drops of more than 30 feet, and has at least one drivable par 4 on every course. Those may seem like very simple and elementary design principles, but Weiskopf’s work speaks for itself! Rule: Well, I think this is a slam dunk, given the incredible courses that Ben Crenshaw has been able to create over the past decade plus with his partner Bill Coore. They remain in the conversation of “best golf course architect”, regardless of whether you add “former player” to the title. Their courses are fun and adventurous, but remain playable for all abilities. Great players can design great courses in my mind, but they need a partner who is an experienced golf course architect, and can throttle them back if they get carried away wanting to build the next US Open-tough venue. Davis Love gets an honourable mention here, as his team has developed some great courses, including Diamante Dunes, ranked in the top 60 in the world. Mumford: Attaching a “great” player’s name to a design is often a way to sell more real estate and most players are content to lend their name while someone else does most of the heavy lifting. However, a few players, either alone or in combination, have risen above the marketing role and designed world class courses. Jack Nicklaus and Greg Norman both get quite involved in the process and have done some great work while Tom Weiskopf and partner Jay Morrish created many exceptional desert and mountain courses, primarily in the Southwest U.S. But the team of Bill Coore and Ben Crenshaw leads the pack now with World Top 100 courses like Sand Hills, Bandon Trails, Streamsong, Friar’s Head, Barnbougle Dunes and Cabot Cliffs. Loughry: I don’t think players make great architects, they’re thinking from a very tainted lens. They’re generally very difficult courses, and not friendly to the average golfer, and especially not beginning golfers, and to me that’s the mark of a great architect. Just look at the classic courses that are great designs, none of them world class players, Best modern designer, it’s likely Nicklaus, but Crenshaw is coming on strong of late. Deeks: Frankly, most of the golf courses “designed” by prominent players are a sham… they’re actually designed and shaped by unknown and unheralded worker bees, and the player simply gets his name put on the marquee (and a big fat appearance fee) for marketing purposes. Notable exceptions, as far as I can tell, are Jack Nicklaus (most of the time), Ben Crenshaw, Peter Thomson and to a degree, Greg Norman. And based on everything I read, I’d say that Crenshaw and his design partner Bill Coore, have earned top marks for their creative and beautiful courses. Phil Mickelson ditched long time coach Butch Harmon last week. At the age of 45 is Phil grasping at straws to think a new coach can help him win again? Rule: I guess everyone needs a new perspective to try to “find something” at a time when they are struggling. I don’t think Phil is done, he has surprised us on several occasions in the past. He still hits it long enough and has a great short game, so he can still contend and win tournaments, and I expect him to win one this coming year. Kaplan: Phil is on the long decline now and it is highly unlikely that any tiny swing tweaks will actually have a considerable effect on future results. The field is just so strong and young now. Phil may have all the experience and a tremendous short game, but he seems out of his league these days trying to hold his own against players less than half his age. Deeks: Hard to believe that’s not the case. I wish Phil luck, I’d love to see him achieve the career grand slam (the US Open is missing), and I’m not saying he doesn’t have the talent to win again on the main Tour, but changing coaches at this point in his timeline strikes me as pointless, and possibly, detrimental as he tries to adapt to new methods from a new guru. Is there really anything about the golf swing, and his own swing, that Phil doesn’t know, or hasn’t tried? Having said all this, I’d be delighted to be proven wrong. Mastroianni: I think Phil is more than capable of winning again and for quite some years still. The question isn’t whether a new coach can help, but whether he cares to win in the first place. It seems to me the only thing Phil cares to win anymore is the U.S. Open, but there’s only one U.S. Open per year. There may be some other spots he’d want to win — maybe an Open Championship at The Old Course for example — but I just don’t believe his mind is in it for other events. So for me, Phil can win if he wants, it’s just that all he wants is a U.S. Open. Quinn: Phil’s switching to the local pro at one of his home courses doesn’t make much sense, no matter that he’s a good communicating Aussie. Can’t imagine anyone being better than Harmon. Golf Digest annually polls Tour pros to rank teachers and Harmon always wins. And he won the first poll by other teachers too! Maybe Phil just can’t hear him anymore or just doesn’t want to admit that what was so easy for him most of his career is now painfully difficult. That sure ain’t Butch’s fault. Loughry: Ditching Butch and hiring new blood may help his psyche, but I don’t believe it is going to lead to results. As we’ve discussed in recent weeks, there is a real youth movement, and that doesn’t help old man Mickelson. Mumford: Phil’s problem is and always has been Phil. He can still hit the ball long and relatively straight and is a short game wizard. His creativity and aggressiveness are what make him fun to watch and a great player but those same attributes get him into trouble too. I doubt that changing coaches will have much impact because a coach can only do so much and once the player is between the ropes, it’s really all up to him and his caddy. I suspect if Phil could play an entire tournament doing everything caddy Jim MacKay told him, he’d be in contention every time out. But then he wouldn’t be Phil. I was surprised that no one even leaned to Steve Williams side. Doesn’t anyone remember the grief that Steve took for his comment about “His greatest victory ever” after Adam Scott’s Masters victory? I had the opportunity to caddie at a high level, albeit not professionally, in the 1960’s for players like Mike Souchack, Tony Lema and Chuck Kocsis. as a result, I gained the wonderful experience to be a part of a team Do you think it’s fair to say that Tiger Woods might not have achieved the level of success without the talents of Steve Williams? I certainly do! Dave, there’s obviously nothing stopping Williams from telling his story but these things are always pretty one-sided, especially when someone has an ax to grind. The sensationalism will help sells books but I don’t think either side comes out of it looking good. As for Williams helping Tiger win, I’d say he was instrumental in the U.S. Open win at Torrey Pines. Before that, Tiger could have carried his own bag and it wouldn’t have made a difference. He was just that much better than everyone else, with or without a caddy. Did you approve my earlier comment? Steve Williams deserves the chance to tell his story. I think Steve William definately crossed the line. It’s not as if he didn”t make enough money under the Tiger wood’s name that he needs to slander the man even more. His self pride must be pretty low and in need of publicity as his new employer is not getting him the exposure he obviously needs and what Tiger provided him. Don’t get me wrong Adam is a great golfer and always has been. So Mr. Williams should reconsider some of his comments true or not and keep them to himself. I don’t think Stevie crossed the line at all. He simply told the truth which until now has been avoided. Tiger fired Stevie for “a lack of loyalty”. This would be the supreme insult! Imagine being told you have been disloyal by a person who has taken full advantage of the rules throughout his career, cheated on his wife and cheated on those women he cheated with. Tiger was once proclaimed by his father as “having a greater purpose in life than simply being a golfer”. Given his tremendous golf accomplishments his “purpose” would have to be superhuman but all of that was flushed down the sewer with what he calls “a lack of loyalty”. I don’t know Tiger but I suspect the demands made on Stevie were far beyond simply carrying a bag full of clubs and with it an ego bigger than the earth. Stevie is being criticized for the use of 4 words (treated like a slave) which was an incidental phrase used to illustrate his feelings; read the other several hundred in the book and you might change your opinion of Tiger. I think Tiger brought every part of this whole situation on himself. It’s time he stood up and accepted responsibility for it and now that the public is taking sides for and against other people it should include a public apology for the way he treated Stevie because of Tiger’s dis-loyalty to his fans, sponsors, parents, wife, children, fellow players, friends non-golfing fans, etc. etc, etc. AND STEVIE! Not only that but what about the people like Notah Begay and Mark Steinberg who have stood by him: are they complicit in the cheating? If so, are they destined to ramifications in the future if and when their wives find out if they were involved? He let a lot of people down and wasted one of the great opportunities for “good” beyond golf in the past century. Get off Stevie and place the blame where it belongs: on Tiger! FYI Stevie is wealthy enough to have donated several $M to charity. He doesn’t need the book sales. Thank you Michael for your thoughts. Bottom line; I don’t think it’s about who’s right or wrong. Steve Williams simply wrote a book. Good for him. It’s the people that put the almighty Tiger Woods on such a high pedestal who feel it’s against god and queen to speak negatively about the man. It’s very conceiveable that Tiger Woods suffers from a personality flaw which allows him to go through more people in his life than I go through underwear. I’d rather go for a pint with Steve than Tiger. I wonder what Fluff thinks? Was a bit disappointed at your earlier comment stating you were surprised no one leaned towards Steve’s side…I’d say I sided with Stevie. Frank, I apologize for my grouping you in with my comment. I have re-read your original thoughts and although you didn’t bury Steve for writing his book you seemed to straddle the fence as opposed to taking a side. I’m going to finish reading “Out of the Rough” before I comment further in the case that Steve may have stepped out of bounds. For me, it will be interesting to track the number of times that Adam will have Steve caddie for him in 2016. Again I apologize for my error. Nothing to apologize for. Just wanted point it out 🙂 I haven’t read the book and probably won’t for a while. But that’s not commentary on Stevie…that’s commentary on Tiger. I truthfully couldn’t careless about anything to do with Tiger.